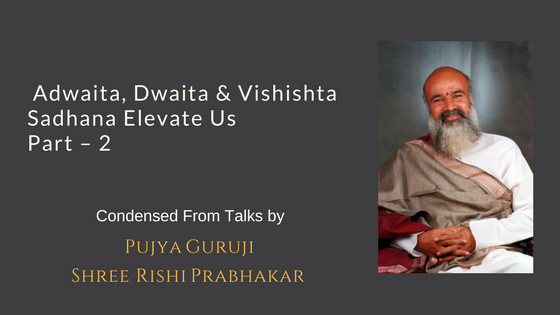 Condensed From Talks by – Pujya Guruji Shree Rishi Prabhakarji. Sadhana is to be a ‘Nobody’, to be able to include and absorb that other person. This requires a little more Sadhana to include him even though he is a ‘Somebody’. It requires some courage to move around in world, but if you are a ‘Nobody,’ it is easy to move around in the world. If you want to be loved by everyone learn to be a ‘Nobody’, no matter what the other person is, you just be a child. 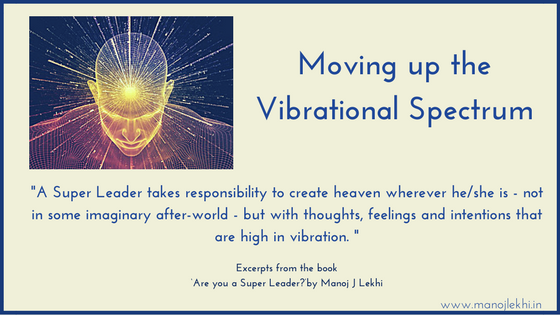 You have a permanent kavacha (sheath) with the same environment as you had in AMC, (Nobody) then you will become more and more love. When you are with people who love you – you are in heaven. When you are with people who hate you – you are in hell. For most of you the main concern is – ‘What about my food?’ Going to your job and staying there is a hell. When you come back home you feel relieved but at home too everybody is a ‘Somebody’, and the same drama is going on from which you ultimately want freedom! Create a heaven: a group/Sangha, a Gurukula, where everybody is doing the sadhana of being a ‘Nobody’. The sadhana to be a ‘Nobody’ is continuously on in our Gurukulam. It is a very wonderful loving place and that is the context from where wonderful things will happen. When people love each other and are together, beautiful things will happen. Everybody loves to cook for each other, and take care of each other. But when everybody looks after themselves so much choas happens. In our Gurukulams, in Swarga, many beautiful things are happening. Naraka/ Hell: If you put your feet in government offices, somebody will prick you and in this way the whole country has become a Naraka. That is what parliament is doing because they don’t know how to make people happy, because they have not done any sadhana. First improve yourself, don’t depend on the politician, and let the revolution start from yourself by loving everybody. Gurukulam is the foundation of our country which was removed; now nobody knows what is going on. I invite everyone to join the Gurukulam. Three Gurukulams are now operating at Bangalore, Vishakapatnam and the most advanced one is in Katarkhadak, with lots of love and lots of sadhana. Here compared to the outside it’s like Europe. I request you all to visit KK and stay there and experience Swarga. When the Gurukulam systems were removed from India we went into Naraka/hell. Everybody says vote but I say don’t vote nobody is worthy. How to change the system? Gurukulams are the starting point and we are much more advanced than China in this aspect. Many Gurus have ashrams but only we have the sadhana of love. Come to the Gurukulam we can provide food and shelter but we cannot cater to your greed; it can-not be satisfied. This will change the country; the parliament will not change the country. The British won the whole country but soon realised that the people were not listening to them. They sent Lord Macaulay to survey the reason for this. He surveyed the whole country and found no beggar in 1800’s. Everything was in abundance. They found out that the Rajas were not controlling but the Gurus were managing the people. Lord Macaulay was a very clever man and in his survey, he realised the power of the Guru Shishya Parampara and our culture. He advocated that donations to the Gurukuls be stopped. As the British government adopted this; Gurukuls naturally shut down. This was the biggest blow to the country. Lord Macaulay also started English schools and decided that only those with an English Government school certificate will be given government jobs. This corrupted the whole culture, a rat race started. The Gurus offered true Vidya that built and strengthened the student from within, but English schools offered only Avidya / outer knowledge and competition for more. Bringing Back Our Gurukulams: We need to bring back our Gurukulams. A Guru is not one who merely talks about himself. But a person who creates love and prosperity for everyone – is a Guru. I invite you to start setting up Gurukulams. You first visit Katarkhadak and understand how it is done. What you have to do? Leave the job or keep 3 to 4 months off and go for padyatra, you will be looked up on as God. You must roam around the whole world then you will taste the nectar of India. Anybody who became great had done padyatra even Vivekananda had done padyatra. All of you have done schooling but not Brahmacharya. Go alone and not with your spouse. Learn what the nectar of this country is. Hand over your business to somebody. How to make your business as a Gurukulam? Once you go around with a Bhikshapatra / begging bowl, you will understand what a great country we are, where the person is taken care of. Only this country takes care of a person who is doing the Sadhana of seeing God in others. You need not worry about food and shelter. When a person begins to do this sadhana, the first step is: one becomes free and the second step is that bountiful love develops for everyone. When we are all together in love, then the real beauty, Lakshmi – abundance will open up right now. So let us get into Vishishta Adwaita, where everybody is taken care of, somebody is there to receive you. Now we are changing the system to Gurukulam, where husband and wife who are vairagis (unattached to material pleasures) together lead people and take care of the world. Whoever comes here, can bring money so that together we can do this experiment of creating a beautiful country.